In many developing countries, high rates of bribe-taking among government tax agents may severely limit the ability of governments to raise revenues. Both citizen and bureaucrat behaviors contribute to corruption. Researchers are conducting a randomized evaluation of incentives for motorcycle taxi drivers to pay tolls and incentives for toll collectors to issue receipts to understand petty corruption in the Democratic Republic of the Congo. In many developing countries, high rates of bribe-taking among government tax agents may severely limit the ability of governments to raise revenues. Some evidence indicates that incentives to increase collections can help reduce bribe taking among tax collectors. However, less is known about what impacts citizens’ demand for transparency and honesty of government officials. Road tolls are an important revenue source for low-capacity states and often represent a significant share of government revenue. 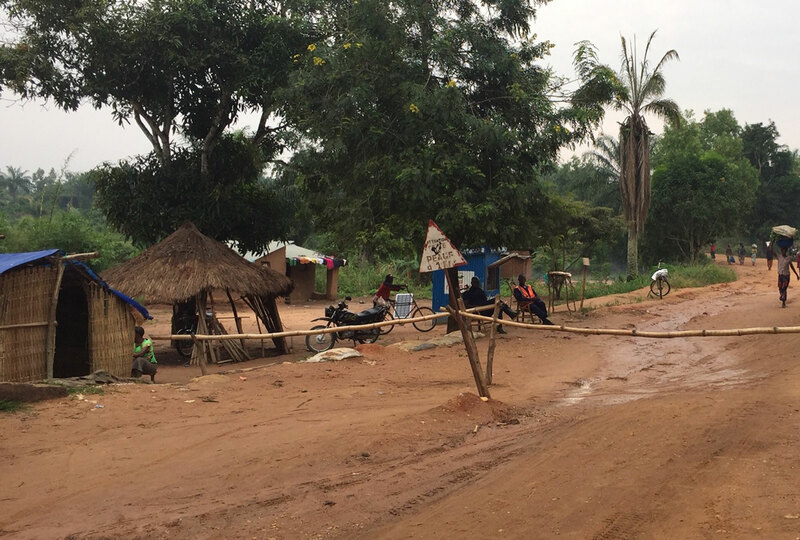 In Kasai-Occidental, a province in the southern Democratic Republic of Congo, road tolls make up 15 percent of the provincial government’s total revenue. In the city of Kananga, where this study takes place, motorists are required to pay tolls when passing through one of four toll gates. When a driver pays the official toll, the toll agent’s machine simultaneously records the transaction and prints a receipt with the driver’s name, date, time of toll passage, and amount paid. Agents are then accountable for any revenue covered by receipts. However, toll collection rates are low, due to both citizen and toll collector behavior. For example, motorcycle taxi drivers commonly avoid paying the full official toll. In a survey conducted in February 2016, 42 percent of drivers in Kananga reported paying less than the official rate of 2000 Franc Congolese (US$2.10). One reason for low compliance among drivers may be their beliefs about who benefits from tolls. In the same survey, 78 percent of drivers believed that money collected at tolls went to the private benefit of the toll officers rather than to public goods. Because tolls represent a significant share of overall taxes, even small improvements in the toll collection system could lead to large revenue gains for the government. A toll gate in the D.R.C. Reward incentive: Drivers in this group will receive a payment of either 1,000 or 2,000 Congolese Francs (US$1.05 or US$2.10). Researchers will compare the rates at which drivers choose to pay official tolls to measure citizens’ demand for honesty on the part of government officials. NGO donation: For drivers in this group, researchers will pledge a donation of 2,000 Congolese Francs (US$2.10) to a local widow’s commune, which is a common local recipient of donations. Government donation: For drivers in this group, researchers will pledge a donation of 2,000 Congolese Francs (US$2.10), to the provincial government, which will in turn pass the money along to the widow’s commune. By comparing drivers in this group to the charity donation group, researchers will test whether drivers’ participation in petty corruption is driven by a belief that any government tax revenue would be stolen or wasted. A lower response rate can be interpreted as reflecting mistrust that the government will deliver on its promise and will not skim money from this pool before making the donation. Comparison group: Drivers in the comparison group will be asked to submit an official toll receipt without being offered an incentive. Additionally, on randomly selected days, researchers will incentivize toll officers to issue additional receipts, which should reduce the willingness of toll officers to engage in corruption. By combining the incentives for toll agents with the incentives for citizens, researchers will be able to compare the relative effectiveness of interventions which target citizens versus bureaucrats in reducing corruption. Reed, Otis and Jonathan Weigel. "Citizen Demand for Corruption: Evidence from Roadway Tolls in the Democratic Republic of the Congo." Working Paper, June 2017.